Nov 16 Justice League is the best superhero movie since The Dark Knight. The new film, The Justice League, starring Ben Affleck, Gal Galdot, Jason Momoa, is quite simply a modern marvel. Not only is it the best film since The Dark Knight it surpasses its Marvel competitors easily. I remember the first time I saw The Avengers it was summer then. My grandfather had just died. I do miss him, even though he was a scary person who tried to force me to become an Olympic archer. I was good. I was good. Not great. Not great. I remember one time, a time I almost hit it. Nobody wants to hear about that. He never spoke to me in English. The only words he ever spoke to me were in Estonia, but there was this one time. There was this one time he did speak to me in English. It was a dark and bleak night, and the rain had been coming down. The rain had been coming down. I hadn't seen him for two years. I was living on my own at this point. I had moved from Baltimore to Houston, and I heard a knocking at the door of my apartment. I open it, and he was there covered in dirt and grime. I was shocked. Honestly I was. I mean you would be too. He said to me, “it’s all lie," and he laid on my couch and died. I spent the rest of the evening watching The Avengers over and over and over again. But Justice League is still one of the best movies I would say that ever existed. I mean, it's just so amazing. They've got, no not the Spiderman, but the Spiderman like. The flash , and the Batman with Ben Affleck who, Who now has been showing up in my nightmares a-lot. it's still the best movie ever made. I would say ever in existence. until the next movie I see probably. So I give Justice League 75 out of 5. Nov 17 Four Days of Elia Kazan: Day Three A Streetcar Named Desire. 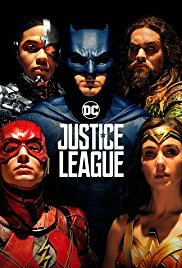 Nov 18 Justice League is the worst movie ever.